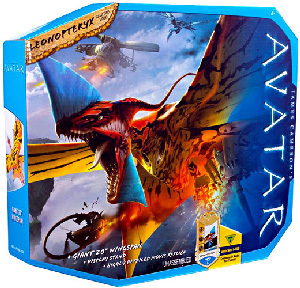 Description Of Item: Avatar is set during the 22nd century on a small moon called Pandora, which orbits a gas giant, and is inhabited by the tribal Navi, ten foot blue humanoids that are peaceful unless attacked. Humans cannot breathe Pandoran air, so they genetically engineer human/Navi hybrids known as Avatars that can be controlled via a mental link. A paralyzed Marine named Jake Sully (Sam Worthington) volunteers to exist as an Avatar on Pandora, falling in love with a Navi princess and becoming caught up in the conflict between her people and the human military that is consuming their world.